We know that there is a lot more to divorce than just sorting out the money. So we thought it would be a good idea to use our blog to highlight useful, reputable sources of support and advice on the other issues you need to confront when your relationship breaks down. This is the first in a series of (hopefully weekly) posts reviewing the resources, guidance and support available on other websites. 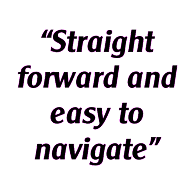 Set up and maintained by the solicitors Mills and Reeve, who have one of the most respected family law departments in the UK, divorce.co.uk offers a vast amount of practical help, advice and further resources on all aspects of a relationship breakdown and divorce. Throughout the site there are lots of useful pdf and audio downloads giving you more further information on various topics – ranging from ‘Divorce – avoiding the ptifalls’ to ‘When to tell the children’. There’s a really great section on children and how to ensure they are as little affected by your relationship breaking down as possible. The first part of the section, Helping the children, includes a list of websites that might be interesting to children (from young ones to teenagers) whose parents are splitting up. The second part of the children section, The law and your children, has background information on the general principles of the law, the types of orders a Court may make, an explanation of the concept of parental responsibility and an overview of the legal procedure itself. You can also download a list of fiction and non-fiction books about divorce (including step-families) that your children might want to read. 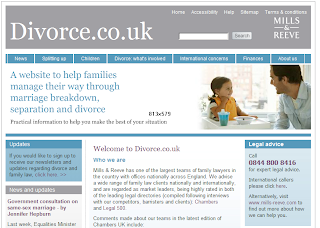 The section of the site devoted to the process of divorce itself (i.e. the paper exercise of ending your marriage) has helpful information on alternatives you may want to consider (separation, a separation agreement or judicial separation). If you do decide divorce is the way forward for you then Divorce: the current law talks you through the process, and you can download (as a pdf) a useful flowchart laying out the procedure. In the section on finances, as well as advice on ‘How the law works’ and ‘Court procedure’, you’ll find the very helpful ‘Financial toolbox’. Here, under 'Checklists and disclosure', you can download a list of the personal and financial information about your case a solicitor is likely to want to see. There’s also a link to a very useful budget calculator (found on a site called ‘The Money Advice Service’ of which more in a later posting) where you can work out your current – and projected – expenditure. 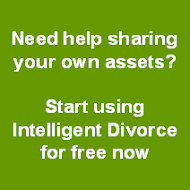 If you or your ex-partner have a share in a business, have a look at Business owners where there are some good downloads providing further information. For the breadth and quality of advice available, this site is really worth visiting for anyone who is experiencing a relationship breakdown. Also now available, with additional features, is a free app (Apple products only) - download it here.